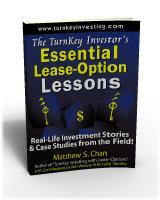 Read the review by Independent Professional Reviewers of “The TurnKey Investor’s Essential Lease-Option Lessons”. How best to start talking about investment properties than to provide pictures and details for review. The first two chapters cover Alabama and Georgia properties. After each picture and description, the acquisition information is provided and then followed by the Lease-Option terms. It is quite easy to see what is happening and it appears that there is a major difference in the two costs. 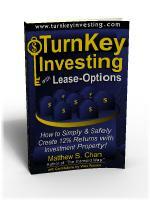 However, property managers must quickly learn to think that lease-option means the future. 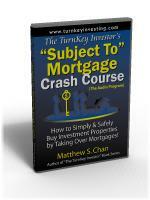 Planning for the future’s “current market” is a major part of that planning. 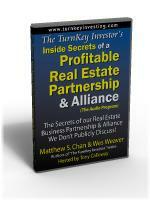 Most of us who have any background with real estate can probably come up with a war story or two. A recent memory for me was when tenants in my best friends’ house left and took most of the furniture! It is hard to accept when it happens, but it teaches a hard lesson quickly. 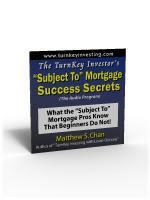 As property manager, you might say that Chan has “seen it all.” For the book, he even divides the lessons down into easy and hard lessons! One of the easy lessons that I thought very important was the story that people will buy two- bedroom houses. The underlying lesson to be learned here is that individuals who are going to go into business should not assume that the “conventional wisdom” they hear about their areas is indeed factual. Chan urges to research and verify what is being said, then make your decisions. The hard lessons, of course, were more costly and frustrating—but they are the more important ones. One of the harder ones for Chan was that he couldn’t understand why a nicer property was just not selling. The reason? 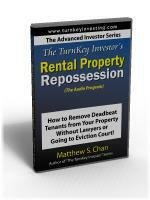 The individuals who had been hired to “bring the property back to standards” had not performed! Double trouble: the tenants had treated the property badly; the contractors had not done their jobs! It is indeed an unfortunate lesson that we must all learn—never assume that tenants will treat your property like you would and never assume that employees are doing the job for you. It’s the world we live in today! Again Chan explains: Plan to visit or stop by your properties. Provide specifics to your contractors and ensure completion of satisfactory work before payment. When you read these types of stories, somehow they seem funny at that time. Indeed you may one day look back at some of your war stories and smile in remembrance. These events, however, are not the least bit funny when they occur. What Chan has done in admitting and sharing these problems is give you, as a new inexperienced property manager, an opportunity to learn in advance. For those property managers who have some experience, this book will bring back some of your own horror stories and may remind you that you have yet to set into practice activities that will ensure that an experience will not happen again. No matter what lessons have been learned—good or bad, it will routinely lead to some type of business change or procedure for Chan. It could mean that there is a need to hire staff. 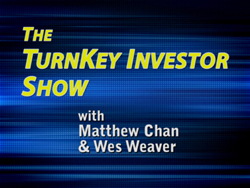 Here, too, Chan shares his stories about decisions in hiring his office manager. Throughout this book, there are little nuggets to be mined; for instance, Chan’s group never takes cash. Payment by check or money order is required. Why? For protection of both his company and the tenants. They copy every transaction as documentation of payment. Now, that seems like a lot of extra time and effort, but when your realize that there is a potential for legal action at any time, it becomes a sound business decision. This book is definitely a specialized book for those who are in the property management business or are thinking of becoming involved. It is an excellent source of detailed information and could easily be a training tool for new employees. 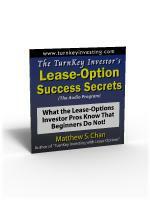 Let Essential Lease-Option Lessons work for you—learn these lessons the easy way, not through going through your own horror story! *A quick reminder is important: details contained in these books cover properties managed by Chan and his associates. Readers must be able to digest and correctly correlate the detailed information to the specific locale in which they work.